Do you have a young baby, toddler, or preschooler and want to begin working with them? 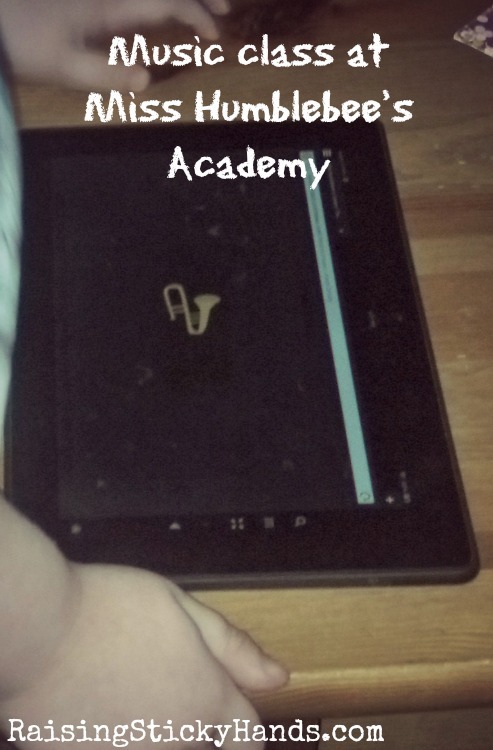 Not necessarily “school”, per se, but educational activities that help them thrive and learn? Maybe you have older children, and the little ones want to have something of their own to do. Problem is, coming up with the curricula that would be flexible and beneficial with little stress would be a silly dream… Well, maybe before, like when I started homeschooling a few years ago, but not now! 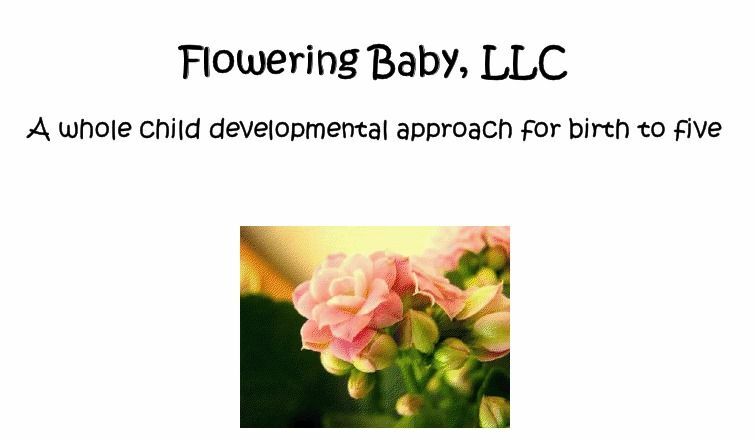 Let me introduce you to Flowering Baby, LLC, a curriculum company founded by a Mother and Daughter for ages birth through five that has taken the time to do the research, make the lessons fun, and package it all up so that all you have to do is run to the library and pick up a few books… Because most likely you have everything else on hand! Everything is in PDF format on a CD that will work on your computer regardless of it’s a Windows or Mac, and it is SO easy to follow. No having to read and re-read the instructions here! The sections are divided up first by years, and then by month. For Birth through Three, it is by age. For Three through Five, it is by calendar month. Also, years Three to Four and Four to Five have a monthly schedule that is accompanied by a list of themes from which you pick 2 for each month. See how little time you have to put into it? It’s already all put together for you! All five years are also available on CD for $132. 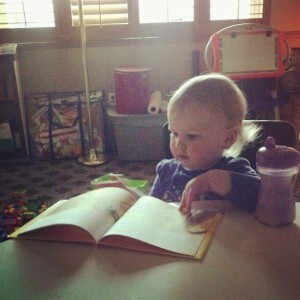 For our family, we used year One to Two starting in the 19th month with my youngest child, Molly. I had intended to include my second to youngest, Johnny Ben, in this set also. He is 3 1/2 with developmental delays that we are in the process of having assessed and evaluated. While he participated to some degree, he really didn’t follow along, so I will only share how it worked with Molly. “Reading” one of our books that we read with the curriculum. Ignore the fact that the book is upside down, please. I never had a set time to complete our lessons. If a moment was available while doing school with my Kindergartener, Tommy, and Molly was interrupting then I would have Tommy work on something he could do solo and do Molly’s “school” with her. A few times we waited until after dinner to help wind down the night. A few mornings we did it right off the bat, and the rest of the times we did it right after lunch or nap. Naturally, there were some days that it just didn’t happen, but that’s okay. The curriculum is set up so that it is not done every single day of the month. So if we missed a day, we just picked up where we left off the day before. It is EXTREMELY flexible. All in all, I have to say I LOVE Flowering Baby. 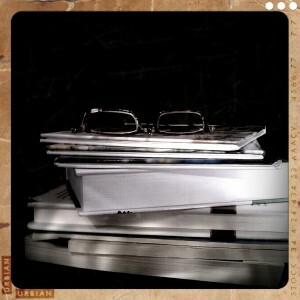 Being so busy it takes out so much guess-work and makes teaching easy and learning fun. Besides, while I’m a homeschooling mom, I am in no way an expert on child development. Having a curriculum that was designed with whole child development in mind put me at ease to not feel at all like I was forgetting something that she needed. If you are looking for something for your littles, I would recommend Flowering Baby. (Sticky) hands down. Interested in purchasing a copy of your own? Flowering Baby is offering a 10% discount to our readers when they use the code “Blog10” when ordering. 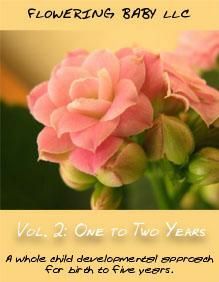 Would you like to see what others thought of Flowering Baby? Maybe see some reviews of the other years available? Head on over to SchoolhouseReviewCrew.com to find more! HUGE Giveaway!!! 5 Winners… Curriculum, Games, & MORE! 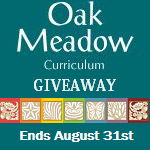 One lucky winner will receive a complete curriculum package of their choice from Oak Meadow! If you haven’t heard of Oak Meadow before, Victoria encourages you to stop by and read her 4th Grade and 6th Grade Curriculum reviews. Having two children with ADHD, utilizing the world around them and nature in her studies has been amazing. For parents who are still learning to teach children of various learning requirements, Kidzmet is offering a copy of their ‘A Parent’s Playbook for Learning’ eBook! This covers all EIGHT personality types in one book! Stop by and take their FREE ONLINE PERSONALITY TEST to find out the best way your child(ren) learns! What can be more fun than Wikki Stix? They are versatile and mess free art! No matter how much your children may want to destroy something with them – they can’t! “Go ahead, put them all over the wall; they come right off!” The winner of this prize package will find out for themselves when they receive their Wikki Stix Easter Egg Decorating Kit & Easter Fun Favors! Are you making spelling or reading fun? The winner of this prize will receive a $25 Gift Card from All About Learning Press! Use it to add to your current program, order workbooks, supplement/folder games, encouragement stickers, short story books, and more! This gift card can go a long way! More fun will arrive for this winner when they receive Simply Fun’s newest Fruit Flies Board Game! The winner of our playful prize package will also receive a copy of Kidzmet’s A Parent’s Playbook for Learning! Three (3) runner ups will also receive a copy of Kidzmet’s A Parent’s Playbook for Learning! This giveaway is open to U.S. Residents, ages 18+. Enter today using the Rafflecopter Form below! *Disclaimer: This promotion is in no way sponsored, endorsed, administered by, or associated with, Facebook, Twitter, Pinterest and/or Google+. We hereby release them from any liability. *Giveaway participants and sponsors are not responsible for prize fulfillment. Raising Sticky Hands To Heaven has once again partnered up with DenSchool to help get the word out about yet another awesome giveaway! TWO lucky winners will receive A Noble Experiment: The History and Nature of the American Government COMBO SET from Zeezok Publishing! This curriculum package is valued at $99 each! A Noble Experiement is an Advanced Middle or High School American Government curriculum package. The set includes the book, DVDs, and CD-Rom Teacher Resources. DenSchool’s reviewer, Dalynn, was surprised at how much her advanced middle schooler enjoyed the program and even asked to use it! It was a blessing to see him working independently with the curriculum. She is one very pleased homeschool momma! Stop by DenSchool to read her full review to learn more. 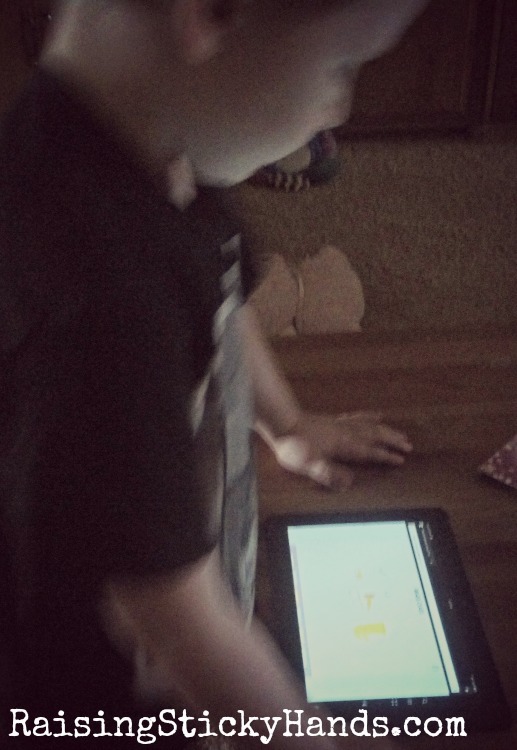 Time4Learning Giveaway – 2 Winners! Yay! It’s a giveaway! Two lucky winners will win one month access for up to 4 children from Time4Learning! Enter today using the Rafflecopter form below. Good luck to the entrants from all of us here at DenSchool & Raising Sticky Hands To Heaven! 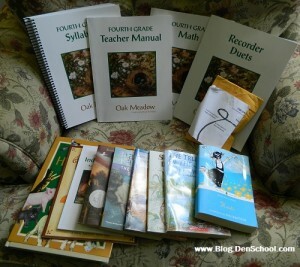 Whether you’ve been homeschooling for awhile or are just starting out, chances are that you’ve heard of Time4Learning. An online based curriculum for grades Preschool up to 8th grade, Time4Learning offers flexibility and ease. To view a full review at DenSchool by Mindy, click here. Enter by using the RaffleCopter below. This giveaway is open until September 10th to those in the US only. YAY! IT’S A GIVEAWAY! One lucky reader will win the curriculum package of their choice for their child! That’s right- the winner picks the grade level they need! Enter today using the Rafflecopter form below. Good luck to the entrants from all of us here at DenSchool & Raising Sticky Hands To Heaven. Oak Meadow has specialized in Homeschooling Curriculum for over 35 years. They are offering one complete curriculum package to one winner. Their packages are priced between $118 (preschool) upwards to $415 for upper elementary grades. You can view their bookstore here. Denschool is hosting this fabulous giveaway. Read a very honest review here, where Victoria also includes some of her tips and advice on how to get the most out of your very own set of Oak Meadow curriculum. As a homeschool parent myself, I must say: I am very seriously considering this curriculum for our own family. 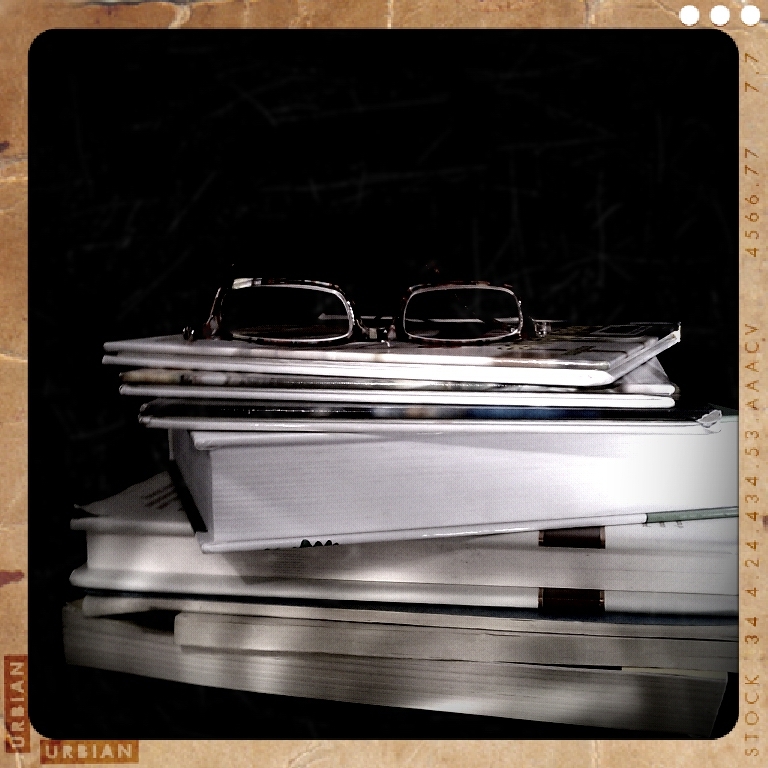 With plenty of literature books included in the kit, reading comprehension is inspired. I love how Victoria points out that in the 4th grade package, the child is encouraged to be independent. That the curriculum speaks to the child, not the parent. All with a gentle approach. Oh, and one more thing… This package doesn’t seem to take up gobs of valuable real estate on your book shelves. 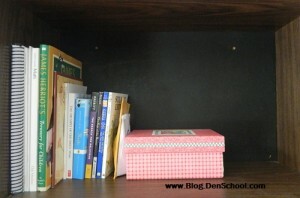 Something that all homeschool parents could use more of is shelf space, right? So, what are you waiting for? If you’re from the US or Canada, enter in the Rafflecopter below. The giveaway will end on August 31st. A few weeks ago our homeschool family was selected to review DVD 1 (In The Beginning) in the What’s In The Bible? With Buck Denver series. I’ve been hearing about this new series from Veggietales creator Phil Vischer for about a year now. I’ve always been intrigued, but wondered… What could be so great about it? Was it really lined up with God’s Word? Would my kids even like it? Well let me tell you, I quickly found out the answer to these questions! My kids ADORED the DVD. 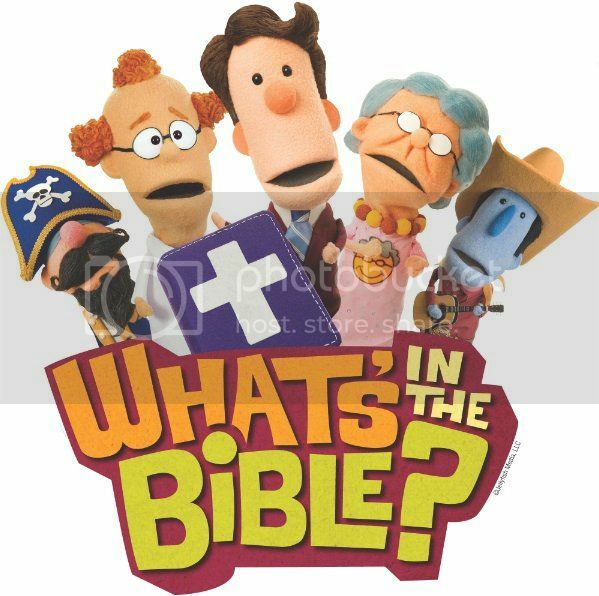 It was similar to Veggietales, but had it’s own unique attributes as well. First off, it’s not a cartoon but puppets. There is a lot more complexity to it than a simple story with a good moral. 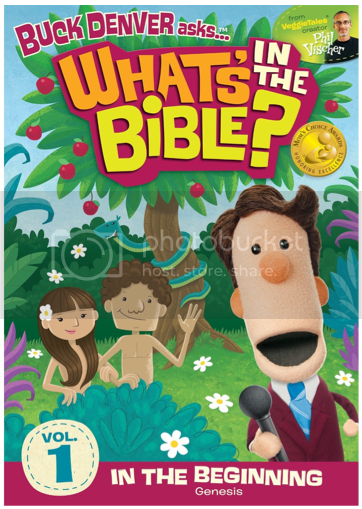 This series actually goes into the depth of the Bible, explaining & dissecting the stories while not dwelling too long on them – which is perfect for a child’s attention span. Also included is church history, who wrote the Bible, the books of the Bible, why they are called “Testaments”, and much more. The DVD has catchy but educational little songs. All with a little humor here and there! Perfect for my kids! One thing that could bother some, is that the characters do stop to explain with Phil that some subjects are touchy between Christians and some people have different views. (For example: Was the earth created in a literal 6 days or was it 6,000 years.) For our family, that was fine as even my husband and I have different beliefs on some topics in the Bible. It gives our children an understanding as to why Mommy believes one way and Daddy believes wrong another way. 😉 Both my husband and I agreed that it was very in tune with what the Word of God has to say, though. I was surprised that all of my children, from my 11 year old right down to my 1 year old, were able to sit down, watch this, and thoroughly enjoy it. My 11 & 9 year olds caught more of the humor than the others… or so we thought at first. Ever since, the 4 year old has been cracking jokes from the DVD that we didn’t even know he was paying attention to at the time! The baby loves to clap her hands to all of the music and finds all of the puppets interesting to watch. So, would I buy this series? Certainly! As a matter of fact, we’ve decided to slowly add the rest of the DVDs to our collection and to include them in our homeschool Bible curriculum. The DVD came with a digital download, making it easier for viewing as we use a digital media player also. There are added activities (coloring pages, study guides, crafts, & Bible flashcards) on the website to make teaching along with the series that much simpler. Have you watched any episodes in the series? What did you think? If not, check out the video below and tell me your view points from that. (And if you’re a Disney geek like I am, look at all that cool stuff Phil has in his collection behind where he is sitting. Here’s one hint… HARVEY!) Enjoy!